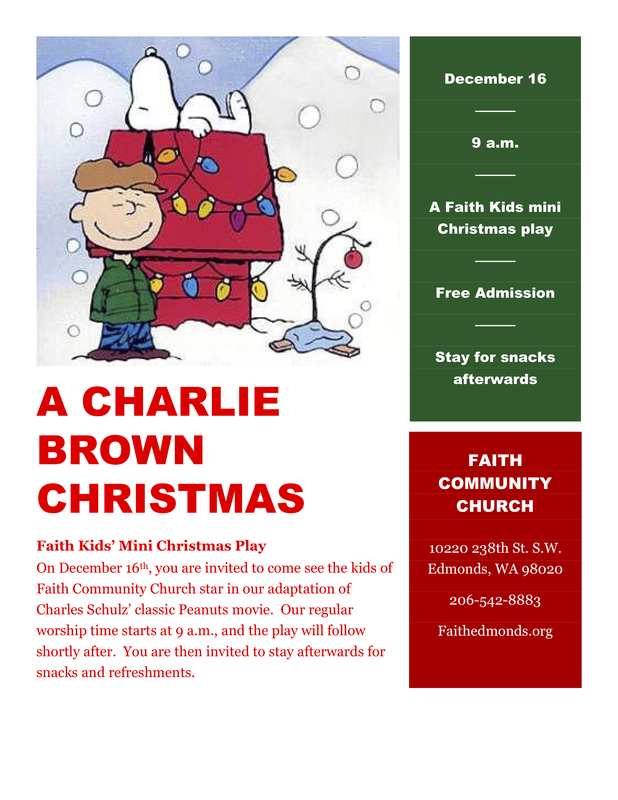 The children’s will preform on Sunday Dec 16th a mini play adaptation of Charles Schulz’ classic Peanuts movie. Join us at 9am and stay after for snacks and refreshments. Christmas Eve is a special night each year. People have been immersed in the theme for weeks and this night allows us to pause and remember the most precious Christmas gift of all. The 5 PM service is open to all, but geared to children and families. We will sing carols, share stories of Christmas, and close with the moving scene made by a candlelit Sanctuary. The 11 PM service is a traditional presentation of carols and the Christmas lessons from the Bible. It concludes with a solemn, joy-filled celebration of Communion. At both services, we will receive an offering designated for Vision House. The Shoreline location is in an exciting expansion project that will give them 10 additional apartments for homeless families. As homelessness becomes a more prominent concern in the Puget Sound region, Vision House stands as an example of how the body of Christ can be a powerful solution. Vision House provides a safe, longterm residence for families. They also offer valuable life skills training for residents to help them stay in stable living conditions after leaving Vision House. Arepas are a Colombian pastry that are widely enjoyed across Colombia. Each region has a unique version of the delicious treats. Henry and Gisela are hosting fellowship time on the 30th featuring fresh arepas with their unique recipe. Not only that, they are also going to provide the traditional hot chocolate served in Colombia.